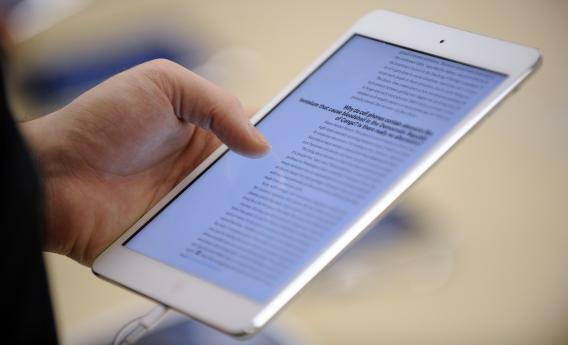 BetaWorks buys Instapaper, will make Marco Arment's time shifting app better. The problem with the Internet is that there’s too much to read and too little time. Instapaper, a 5-year-old Web service and app from Tumblr co-founder Marco Arment, is one of the sleekest solutions to this problem. You add a bookmark to your browser that says “Read Later,” then click on it whenever you arrive at an article that looks fascinating but that you don’t have time to read at the moment. Instapaper stores it in the cloud so you can retrieve it at your leisure on whatever device you choose. On a deeper level, I see it as one small but encouraging example of the Internet’s potential to spawn novel solutions to the novel problems it creates. As nice as Instapaper is, it’s been clear for some time that it isn’t rapidly improving and evolving in the way you’d expect a venture-backed startup to do. That’s because it isn’t a venture-backed startup. It’s just a pet project of Arment’s, and not his only one at that. (Another of his projects, called The Magazine, seems to have been competing with Instapaper for his attention of late.) In the absence of outside investment, he was funding it by requiring users to pay for the app, which some (including me) have happily done. But that has also limited its audience and opened the door for venture-backed competitors like Pocket to poach market share with free alternatives. On Thursday, Arment announced that he was selling a majority stake in Instapaper to BetaWorks,* a New York-based outfit that began as a startup incubator but is morphing into a company that also operates startups of its own. BetaWorks is the same group that bought the Digg.com domain and technology a year ago when Digg was dying. Within months, BetaWorks reinvented the Reddit-like social news board as a beautifully designed and editorially curated site featuring some of the best and most interesting stories of the moment from across the Web. Digg is now, in fact, one of the best places on the Web to find content that merits a click of the Instapaper “Read Later” button. Other BetaWorks projects include the link-shortening service Bitly and the traffic-analytics service Chartbeat. And it has said it’s working on a Reader service to fill the void left by Google Reader’s demise. This sounds like a win for everyone involved—except, perhaps, for Pocket, which can expect to face a much more formidable competitor in the months and years to come. Pocket, for its part, is already fighting back, inviting Instapaper users to import their information and make the switch today. That infuriates Arment, who has said he will continue to advise BetaWorks on Instapaper’s development. But the competition can only be good for consumers in the long run. Readers, rejoice: There are now two deep-pocketed companies battling to bring you the best time-shifting service on the Web. *This sentence has been updated to clarify that Arment sold a majority stake in Instapaper, as opposed to selling it outright.